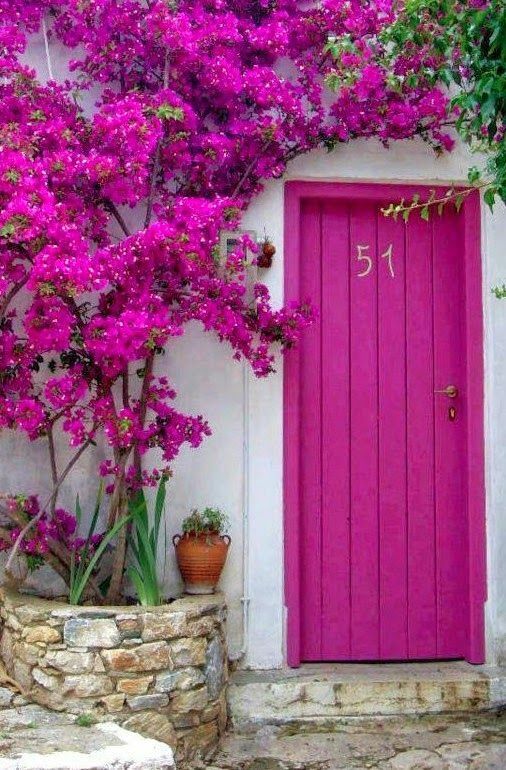 Beautiful color alongside Grecian streets, don’t you just want to be there gazing at all the colors. I think adding personal details like family photographs at your wedding is just touching, but even more beautiful when hung with greenery to look as if part of nature. Since I wear mostly neutrals, this DIY tassel necklace is the perfect pop of color for summer! Warmer days call for loose fabrics, and this simple but beautiful maxi dress from Free People is one I’ve got my eye on. Statement black french doors are stunning in this all white kitchen. It’s the season for playing outside, no matter the age, and Eden is sharing some great outside activities. I mean how great is this pineapple bachi ball game! Summer is for simplicity, but it’s also for entertaining & I love when food spreads are lush with no fuss about them like this one. When warm days roll around, I pretty much just want to grill everything & I’m salivating at these grilled clams. Completely smitten over this pretty color palette. And because I’m going to see Mumford and Sons next week for my birthday, I just can’t get enough of their new album.